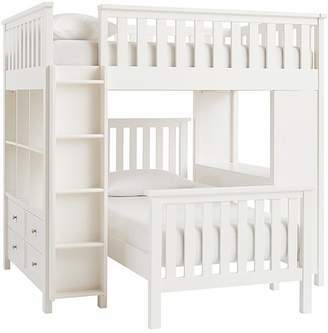 Expertly crafted from solid poplar wood, rubber wood, Spruce wood, engineered wood and MDF (medium density fiberboard). Mortise-and-tenon, tongue-and-groove and dowel construction and a kiln-dried solid wood frame adds strength and structural integrity you can trust. Finish is applied in a multi-step process using child-safe, water-based paint. The paint provides durability, richness and depth of color to each piece. Made in a Fair Trade CertifiedTM facility. Learn more. 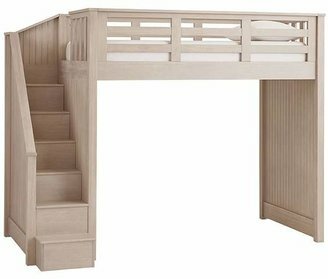 DETAILS THAT MATTER Side-mounted staircase with 6 steps adds a fun way for kids to access the loft. Guardrail features beautifully sculpted spindles and detailed molding, providing elegance and security. Slat-roll foundation; do not use a box-spring on the loft. 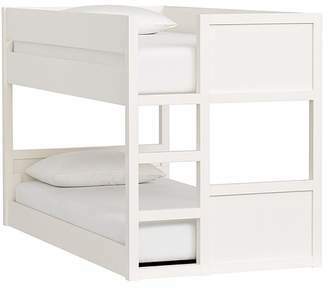 Space below the upper bunk is roomy enough for other furniture. The space also includes a built in desk. Desk features two drawers crafted with English Dovetail joinery and bottom mounted glides for strength and durability with repeated use. 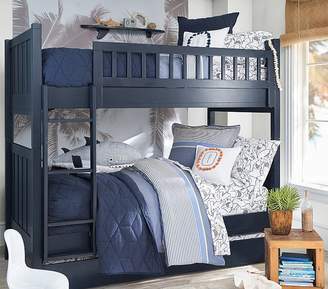 Designed with mitered molding creates raised paneling on the headboard and footboard. 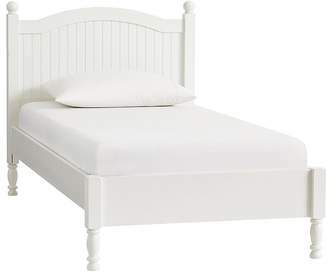 Mattress platform is made of 100% solid wood slats for extra strength; designed for use with or without a box spring. 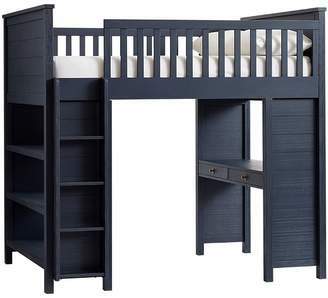 Top loft accommodates a twin or full size mattress (each sold separately) do not use box spring on loft. 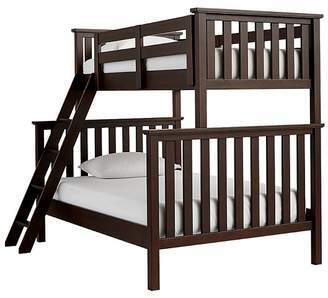 Mattress must be less than 7 inches in height, we recommend using with our bunk mattress (sold separately). KEY PRODUCT POINTS Recommended for use with a ceiling height of 9' or higher. 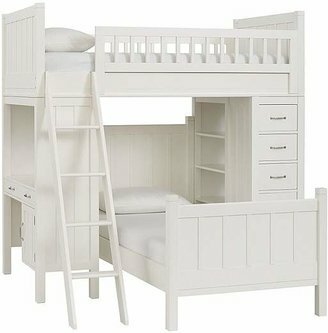 The Consumer Product Safety Commission recommends that top bunks not be used for children under 6 years of age. 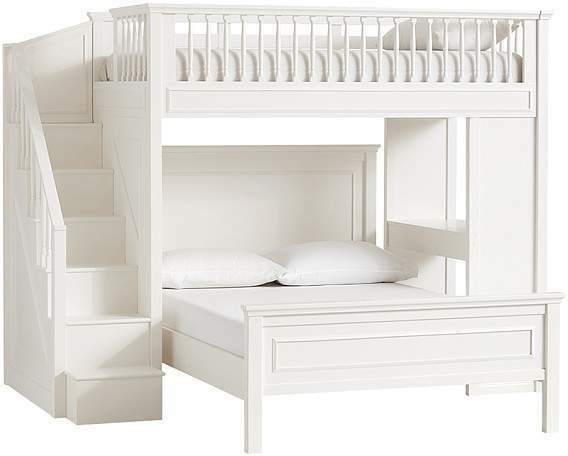 This bed has undergone rigorous safety tests and it meets the highest industry safety standards. Adjustable setting for siderails: 10", 8"